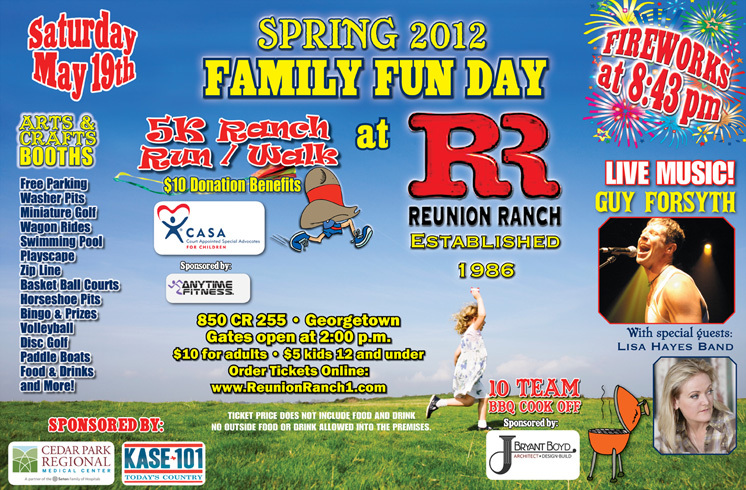 Family Fun Day at Reunion Ranch with Lisa Hayes, Guy Forsyth, and more! Fun events for kids and adults, a BBQ cookoff, and fireworks after Guy Forsyth's set. Free events (with paid admission) include: Miniature Golf, Swimming Pool, Zip Line, Basketball Courts, Horseshoe Pits, Volleyball, Disc Golf, Paddle Boats, Wagon Rides.